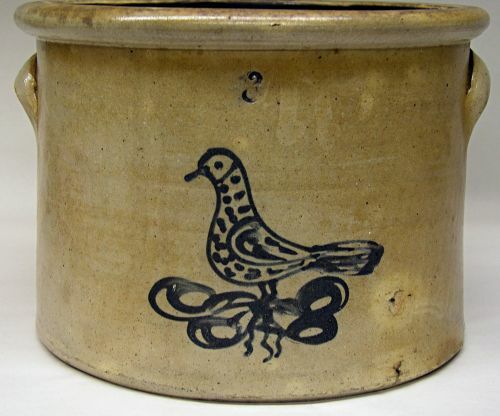 Stoneware three gallon crock with spotted blue bird unmarked but probably a New York maker. 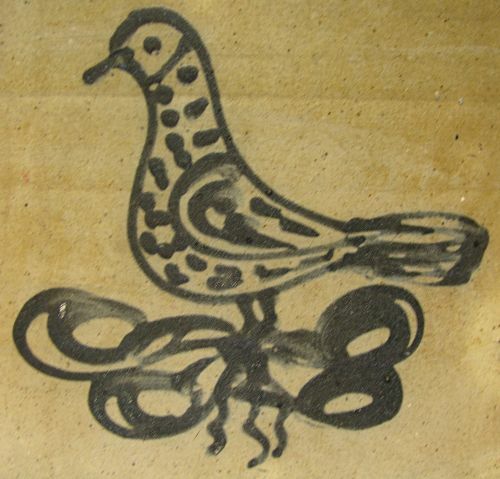 Great condition with only 2 small pop marks just to the right of the bird. Dimensions: Measures 8 3/4" tall by 12" across the top and 11 3/4" across the base.